Move-in ready home in Ridgecrest Subdivision. 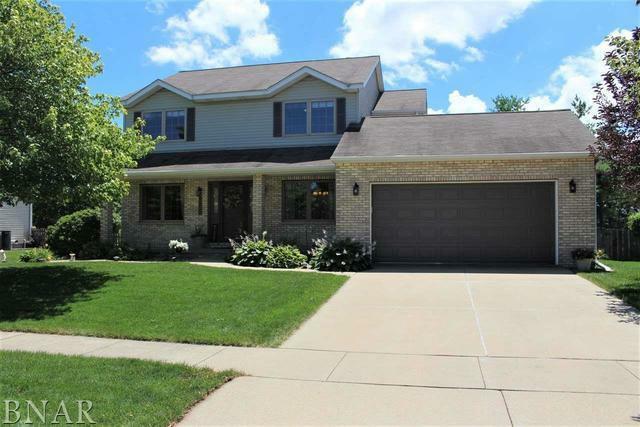 This 4 bedroom, 2 1/2 bath home features an open kitchen to family room layout. The Family room has a brick fireplace with a gas log insert and built-in cabinetry on both sides along with a bay window overlooking the backyard. Both the family room and kitchen along with entry, hallway and stairs have hardwood floors. Fully furnished kitchen with snack bar has ample storage space. Dining room conveniently located off the kitchen with a trey ceiling. Formal living room with french doors leading to the family room. All four bedrooms are located on the second level with a spacious master bedroom. The roomy master bathroom has a double sink, garden tub stand up shower and walk-in closet. All bedroom closets have organizers installed. Other features include a partially finished basement, deck, fenced backyard, six panel doors and triple pane windows. New carpeting and bathroom flooring!